If you’re wondering what to do with some of your old (or just plain boring) books, there are lots of ways to recycle them into something else. One way is by turning your book into a work of art. 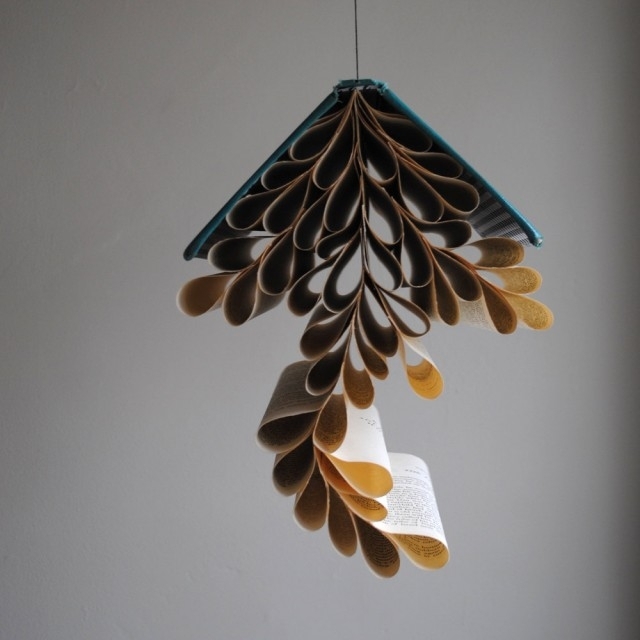 By cutting, folding and gluing pages, you can create a book mobile (not to be confused with a bookmobile), a decoration for a bookshelf or art to mount on a wall. Keep in mind that older books may have more brittle paper and can be harder to curve and shape. You may also want to consider the thickness of the book pages — you can layer thin pages (like the ones you find in telephone books) to create see-through effects, while thick pages may be better to create pop-up scenes. See some beautiful examples at this post on Krrb. Or watch a video by Brusspup of how to create 3D Paper Steps. Click here for this secret compartment idea from Better Homes & Gardens. Sew pages of books to create storage pockets with this easy step-by-step on S. C. Johnson Co.’s blog Family Economics. It’s a unique way to keep track of your favorite photos, movie tickets and valentines! Hollow out a book to create a secret compartment like this one from Better Homes & Gardens’ project ideas site. Another way to do this is to glue a bunch of book spines to a box and slide it onto your bookshelf between real books, like in this photo. Voila! Your treasures are now safe from your little brother. Make hardcover books into shelves like these examples we found at realsimple.com. They give the term “book shelf” a whole new meaning! Build furniture out of old bookswith simple brackets and hardware.